What do pasta names mean in English? It’s not difficult to understand that the word ‘penne’ or the singular ‘penna’ means ‘pen’ in English. Given that this pasta looks like the nib of an old fashioned pen or quill, it’s obvious that the name came from that similarity. 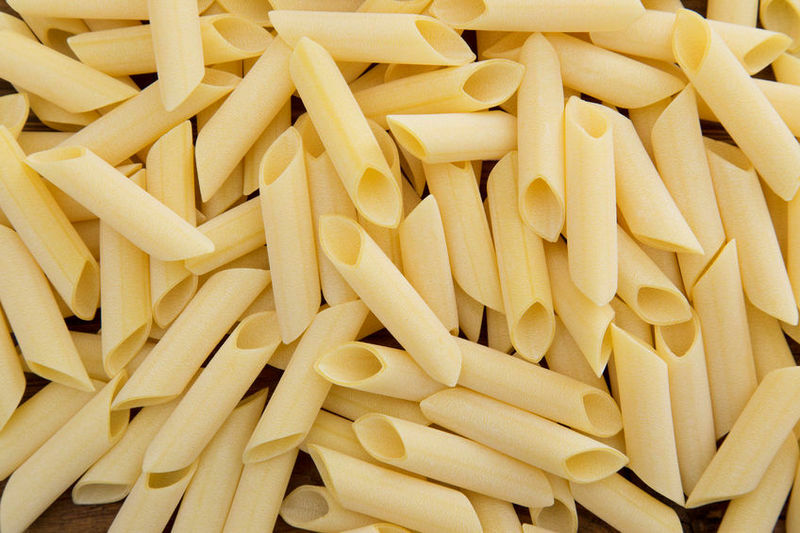 Many pasta shapes are named after things they look similar to. For example, farfalle means butterflies in English and conchiglie means ‘shells’. My question is, what came first? Did someone decide to create a pasta shape that looked like a shell or was it accidental? I guess in many cases we may never know! In the case of penne, however, there is a precise date of birth! 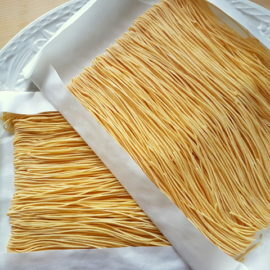 On March 11, 1865, Giovanni Battista Capurro, a pasta maker in San Martino d’Albano, near Genoa, succeeded in patenting a machine capable of cutting diagonally pasta without breaking it. Until then, the operation was carried out by hand, with scissors, leaving an irregular and jagged sign on the final product. Interestingly the first version this pasta was coloured, in the medieval way, with saffron. There are two types of penne pasta; ‘rigate’ meaning grooved and ‘lisce’ meaning smooth. Needless to say rigate have grooves on the surface of each penna, whilst the smooth ones are, just that, smooth! Penne are a very versatile type of pasta and, subsequently, popular throughout Italy and abroad. 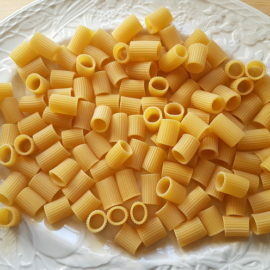 The fact that they are cyndrical means the sauce they are served in actually gets inside the pieces of pasta and the grooved version also allows the sauce to adhere to its surface, making every mouthful rich and tasty! As mentioned before penne originated in Liguria, but from there their popularity spread and today they are eaten throughout the Italian peninsula. Penne are most often served with heavier meat or tomato based sauces and not so frequently with seafood or light creamy sauces. 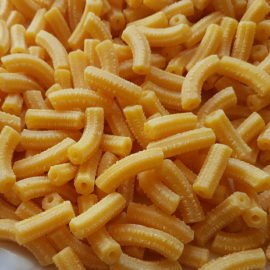 They are also a very popular choice for baked pasta dishes and pasta salads. 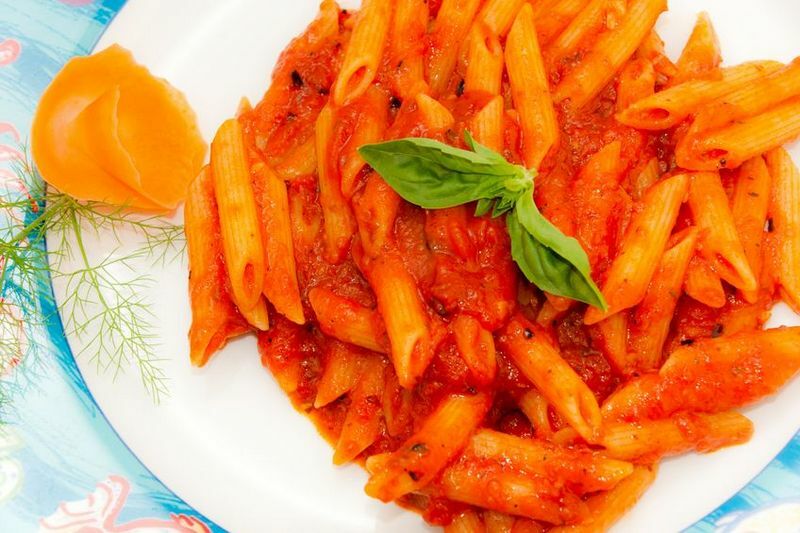 One of the most well-known penne pasta recipes is ‘arrabbiata’ which comes from Rome. 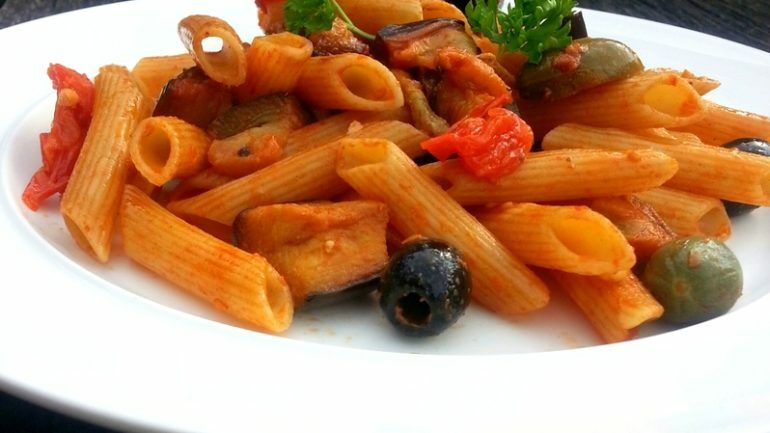 The pasta is served with a spicy tomato sauce made from tomatoes, red chilli peppers and garlic. The word ‘arrabbiata’ means angry in English and refers to the fact that the sauce can make your face turn red, similar to when you are angry! 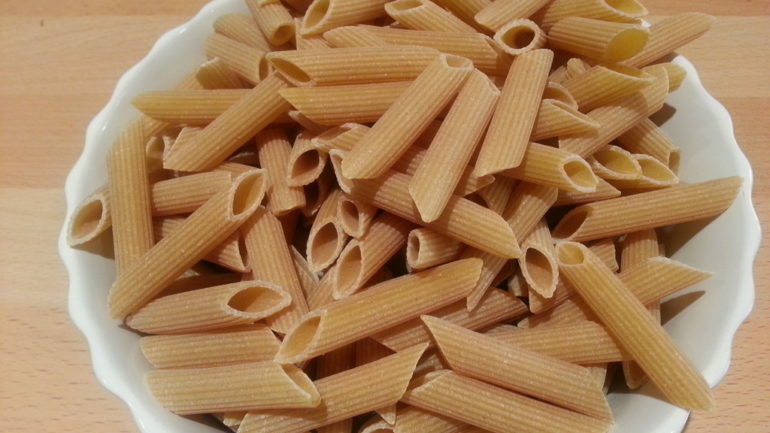 Nowadays, it is possible to find lots of different types of penne. Apart from the original version made with durum wheat, there is also a version made from kamut (khorasan) as well as whole wheat and tricolore (meaning 3 colours) made with spinach and tomatoes ( or other vegetables) as well as the original plain type. There are also different sizes of penne. 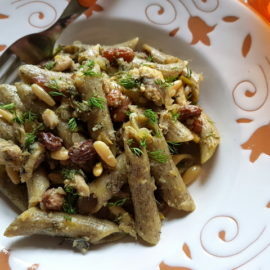 Mezze penne which are half the size of normal penne and pennoni which are larger. Whichever type of this pasta you prefer, it is a very good staple pasta to keep in the larder and much more versatile than most long pasta.